In a bit of breaking news, I’ve just received word that long-time Virginia political activist and Sixth District Republican Chairwoman Trixie Averill has recently accepted the position of Virginia State Director for Americans for Prosperity. As you may of heard, Ben Marchi, who has held the position for the last several years, will be leaving that post in a matter of days. I knew that AFP had been sorting through candidates, but, until a few moments ago, had not realized that they had selected one. This news is of particular interest to me for a number of reasons. First among them, in an interesting twist of fate, I have had the opportunity to get to know and work with both Mrs. Averill and Mr. Marchi. Then again, I suppose there aren’t but so many people who work in Virginia politics. For the record, the Republican Party of Virginia employed all three of us during the 2006 election cycle. In the early stages of the campaign, I worked with Ben Marchi in Virginia Beach. In the later part, it was with Trixie Averill in the Valley. With this news of AFP also comes word that Mrs. Averill will be resigning her post as Chairwoman for the Sixth District. Who will take her place is still, as of yet, unknown. I want to extend my congratulations to Trixie Averill as she begins her new position with Virginia’s Americans for Prosperity. With our Delegates and Senators up for election this year and our Representatives, Senator, and President the next, it should certainly be a busy time. I’m looking forward to seeing what she has in store. Who is David McCormick? Earlier today, I couldn’t have told you the first thing about him. Just a few moments ago, I learned he is a dark horse candidate running for the Republican nomination for Virginia’s 2012 Senate seat. But who is David McCormick? According to his website, he is an attorney from Hampton Roads. 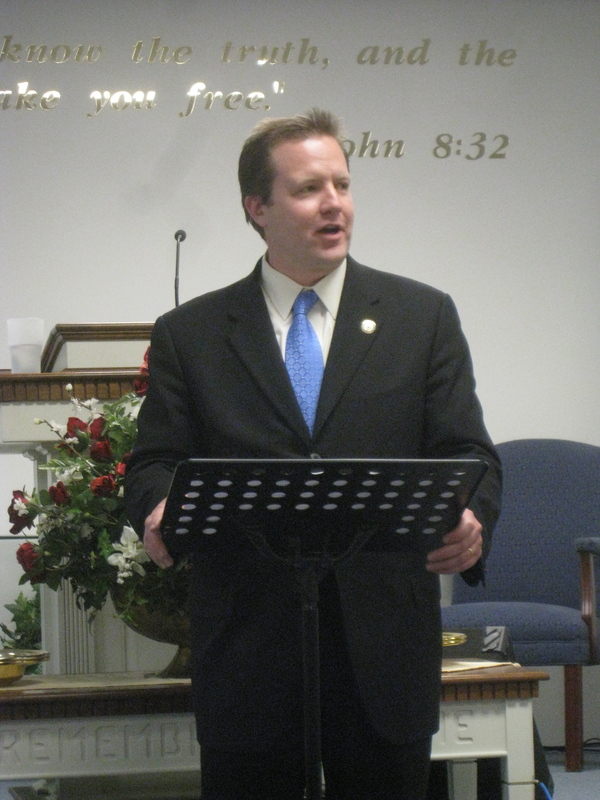 Prior to his announcement, he served in the leadership of the Virginia Beach Republican Party. Why is Mr. McCormick running for the Senate? According to his website, he supports a whole host of issues, some of which are quite good, others that I find troubling. Let’s highlight some of the more interesting and controversial thoughts. – Audit the fed? Sign me up. – Only allow germane amendments to bills? Sounds good to me. – Term limits? Here I have mixed feelings. Although I am concerned by career politicians who are more or less out of touch with the societies they supposedly represent, term limits could remove very good legislators as well. The better solution is to remove some of the barriers to political competition and incumbancy protection such as McCain-Feingold. – Constitutional Amendment to require a balanced budget? Unless Congress can quickly learn to live within its means, the American people will be overwhelmed with debt. 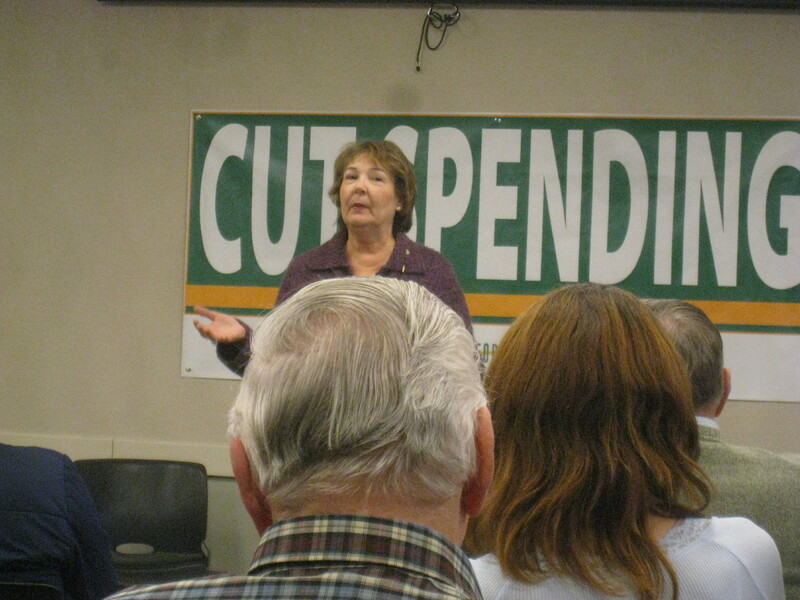 – Cut spending and salaries of bureaucrats and politicians? As I’ve said recently, people should be motivated to go into politics in order to serve our nation rather than to grow rich off of the taxpayers. – Hostile nations cannot buy U.S. debt? Although that may sound good, what would such a position do to our current financial servitude to China? – “All beer, wine, and other alcoholic beverage commercials shall not be shown during regular family television viewing hours.” Sure, we don’t want to encourage underage consumption of alcohol, but this idea exceeds the proper jursidiction of the federal government. Plus, wouldn’t such a plan violate the 1st amendment? – “No one under 21 years of age shall have to pay any social security or medicare.” I don’t really understand this position at all. Social security and medicare are already going bankrupt as it is, so this action will only hasten their demise. Sure, I would like to see the federal government removed from these areas too, but we cannot cheat those citizens who paid into the system their whole lives and now rely on this income. – “Congress to regulate the FCC and demand that standards of common decency be enforced for all prime time television programming.” As a social conservative, I can understand where he is coming from, but supporting censoring out of D.C. smacks of totalitarianism. – One bright spot is repealing No Child Left Behind. As Senator Obenshain and Delegate Bell recently stated, if we want to get the federal government out of children’s education, it starts with eliminating this Bush era error. I could delve further into his positions, but I believe I’ve covered the most interesting ones listed on his website. You’re welcome to read and explore to your heart’s content. Maybe you like what you’ve read about Mr. McCormick, maybe you don’t, but one thing is certain; he has a very tough road ahead in order to secure the Republican nomination. The biggest problem I see is name recognition. Outside of Virginia Beach has anyone heard of him? Doubtful. Although I still haven’t met Jamie Radtke or Corey Stewart, they are spreading their names and positions. As a side note, Mr. Stewart will be visiting our local tea party in just a couple days. Delegate Bob Marshall is well-known in political circles; he is beloved by some activists and passionately despised by others. And then there is the front running juggernaught, George Allen. As he was both our Governor and our Senator, even normally nonpolitical folks know his name. Right now David McCormick has far and away the lowest name I.D. of any person who is currently running or those supposedly considering running. Who knows? Although it is very unlikely, maybe Radtke, Allen, and who ever else ends up running will damage each other so badly in the process that an unknown candidate like McCormick ends up winning. The Virginia Senate race just got a little more interesting. After all, dark horse candidates can win, but they are far more the exception than the rule. YAF: Young Americans for Fascism? Although this news is about a week old, I wanted to comment about Young Americans for Freedom booting Representative Ron Paul off of its national advisory board. Now YAF recently made the claim that Paul’s views on foreign policy are dangerous to American security. What I find particularly odd is, that as far as I can tell, Representative Paul’s positions have not changed overnight. They are more or less the same today as they were when he was running for President back in 2008. So, if they haven’t been modified, what would suddenly compel YAF to shun Dr. Paul? After all, Ron Paul served on their particular board for over twenty years. The only rational answer is that YAF itself must have changed. From what I’ve found on the internet, their current chairman rose to power late last year. What is far more disturbing is the vitriolic and misguided hatred spouted by current YAF Chairman Jordan Marks. In recent remarks on a YAF page ironically entitled “Dialogue on Liberty”, Mr. Marks stated, “It is a sad day in American history when a one-time conservative-libertarian stalwart has fallen more out of touch with America’s needs for national security than the current feeble and appeasing administration.” What? Was YAF asleep during the 2008 Republican primary? Are they so far out of touch that they only get the news three years after the fact? Rational debate and the ability to respectfully disagree are one of the healthy fundamentals of American politics. Unfortunately, these values are falling by the wayside and YAF is aiding in their demise. First, Jordan Marks has the audacity to call Representative Paul a potential traitor to the nation and then goes on to say, “Rep. Paul is clearly off his meds and must be purged from public office. YAF is starting the process by removing him from our national advisory board. Good riddance and he won’t be missed.” Obviously Mr. Marks is welcome to hold whatever views he desires on foreign policy, but declaring that Dr. Paul and his followers are mentally unbalanced psychos will only serve to polarize and weaken the liberty movement. Calling for his removal from office entirely tells me that YAF has little interest in promoting freedom, even in domestic policy. A few days ago, I received the following video from Adam Wood, an employee of YAF and activist who was heavily involved with the Ron Paul Presidential campaign. It is unfortunate that Adam felt compelled to leave his position at Young Americans for Liberty, but I believe that narrow-minded people like Mr. Marks would make his time there very unpleasant. I called YAF last week looking for a comment regarding this situation, but no one has returned my call. In order to restore YAF and return decorum to the liberty movement, I strongly encourage Young Americans for Freedom to expel Jordan Marks from any position of leadership. His poisonous rhetoric and actions are in line for an organization that tolerates no disagreement or discussion among their members (a.k.a. fascism). Until and unless Mr. Marks is removed, regardless of any areas of agreement, I will boycott any and all activities of YAF and suggest that likeminded activists do likewise. YAF’s phone number is (202) 596-7923. Why don’t you let them know what you think? Although fast tracking the renewal of several provisions of the Patriot Act proved to be unsuccessful, yesterday the House of Representatives voted to extend these constitutionally questionable powers. The vote on H.R. 514 was 275 in favor, 144 against, and 14 not voting. Although supporters of the Patriot Act claim that these provisions are a key tool in the fight against terrorism, they also strip away the rights and privacy of citizens. In the wrong hands, I fear what sort of damage can be caused. A few moments ago, I contacted my Representative, Bob Goodlatte, and my two Senators, Jim Webb and Mark Warner. From Rep. Goodlatte, I hoped to get an explanation as to why he supported this bill. From my Senators, I hoped to learn how they were planning to vote on this resolution. As is typical, I was told I would be receiving a letter in the mail from Representative Goodlatte regarding this issue. From Senators Webb and Warner, I got no real information other than assurances that my concern would be passed on to them. Although I know that my Senators represent a whole lot more people than my Representative, is it too much to ask for a letter in reply? Although I disagree with my Representative on this particular issue, I greatly appreciate his efforts to maintain contact with his constituents. If only we had Senators who were as responsive as Goodlatte. I hope Senator Webb’s replacement will be better. He condemned these general warrants as “the worst instrument[s] of arbitrary power, the most destructive of English liberty and the fundamental principles of law, that ever w[ere] found in an English law book.” Otis objected to these writs of assistance because they “placed the liberty of every man in the hands of every petty officer.” The Fourth Amendment was intended to guarantee that only judges—not soldiers or policemen—would issue warrants. Otis’ battle against warrantless searches led to our Fourth Amendment guarantee against unreasonable government intrusion. My main objection to the PATRIOT Act is that searches that should require a judge’s warrant are performed with a letter from an FBI agent—a National Security Letter (“NSL”). I object to these warrantless searches being performed on United States citizens. I object to the 200,000 NSL searches that have been performed without a judge’s warrant. I object to over 2 million searches of bank records, called Suspicious Activity Reports, performed on U.S. citizens without a judge’s warrant. As February 28th approaches, with three provisions of the USA PATRIOT Act set to expire, it is time to re-consider this question: Do the many provisions of this bill, which were enacted in such haste after 9/11, have an actual basis in our Constitution, and are they even necessary to achieve valid law-enforcement goals? The USA PATRIOT Act, passed in the wake of the worst act of terrorism in U.S. history, is no doubt well-intentioned. However, rather than examine what went wrong, and fix the problems, Congress instead hastily passed a long-standing wish list of power grabs like warrantless searches and roving wiretaps. The government greatly expanded its own power, ignoring obvious answers in favor of the permanent expansion of a police state. For example, one of the three provisions set to expire on February 28th—the “library provision,” section 215 of the PATRIOT Act—allows the government to obtain records from a person or entity by making only the minimal showing of “relevance” to an international terrorism or espionage investigation. This provision also imposes a year-long nondisclosure, or “gag” order. “Relevance” is a far cry from the Fourth Amendment’s requirement of probable cause. Likewise, the “roving wiretap” provision, section 206 of the PATRIOT Act, which is also scheduled to expire on the 28th, does not comply with the Fourth Amendment. This provision makes possible “John Doe roving wiretaps,” which do not require the government to name the target of the wiretap, nor to identify the specific place or facility to be monitored. This bears an uncanny resemblance to the Writs of Assistance fought against by Otis and the American colonists. Other provisions of the PATRIOT Act previously made permanent and not scheduled to expire present even greater concerns. These include the use and abuse by the FBI of so-called National Security Letters. These secret demand letters, which allow the government to obtain financial records and other sensitive information held by Internet Service Providers, banks, credit companies, and telephone carriers—all without appropriate judicial oversight—also impose a gag order on recipients. NSL abuse has been and likely continues to be rampant. The widely-circulated 2007 report issued by the Inspector General from the Department of Justice documents “widespread and serious misuse of the FBI’s national security letter authorities. In many instances, the FBI’s misuse of national security letters violated NSL statutes, Attorney General Guidelines, or the FBI’s own internal policies.” Another audit released in 2008 revealed similar abuses, including the fact that the FBI had issued inappropriate “blanket NSLs” that did not comply with FBI policy, and which allowed the FBI to obtain data on 3,860 telephone numbers by issuing only eleven “blanket NSLs.” The 2008 audit also confirmed that the FBI increasingly used NSLs to seek information on U.S. citizens. From 2003 to 2006, almost 200,000 NSL requests were issued. In 2006 alone, almost 60% of the 49,425 requests were issued specifically for investigations of U.S. citizens or legal aliens. In addition, First Amendment advocates should be concerned about an especially troubling aspect of the 2008 audit, which documented a situation in which the FBI applied to the United States Foreign Intelligence Surveillance Court (FISC) to obtain a section 215 order. The Court denied the order on First Amendment grounds. Not to be deterred, the FBI simply used an NSL to obtain the same information. A recent report released by the Electronic Frontier Foundation (“EFF”) entitled, “Patterns of Misconduct: FBI Intelligence Violations from 2001-2008,” documents further NSL abuse. EFF estimates that, based on the proportion of violations reported to the Intelligence Oversight Board and the FBI’s own statements regarding NSL violations, the actual number of violations that may have occurred since 2001 could approach 40,000 violations of law, Executive Order, and other regulations. Yet another troublesome (and now permanent) provision of the PATRIOT Act is the expansion of Suspicious Activity Reports. Sections 356 and 359 expanded the types of financial institutions required to file reports under the Bank Secrecy Act. The personal and account information required by the reports is turned over to the Treasury Department and the FBI. In 2000, there were only 163,184 reports filed. By 2007, this had increased to 1,250,439. Again, as with NSLs, there is a complete lack of judicial oversight for SARs. Finally, I wish to remind my colleagues that one of the many ironies of the rush to advance the PATRIOT Act following 9/11 is the well-documented fact that FBI incompetence caused the failure to search the computer of the alleged 20th hijacker, Zacarias Moussaoui. As FBI agent Coleen Rowley stated, “the FBI headquarters supervisory special agent handling the Moussaoui case ‘seemed to have been consistently almost deliberately thwarting the Minneapolis FBI agents’ efforts” to meet the FISA standard for a search warrant, and therefore no request was ever made for a warrant. Why, then, was the FBI rewarded with such expansive new powers in the aftermath of this institutional failure? I call upon each of my Senate colleagues to seriously consider whether the time has come to re-evaluate many—if not all—provisions of the PATRIOT Act. Our oath to uphold the Constitution demands it. So now fellow lovers of constitutionally constrained government, we must look to a Senate controlled by the Democrats to defeat this bill. Like what was attempted in the House, they must find a coalition of liberals and conservatives to defeat the perhaps well meaning, but liberty-quashing middle. Don’t misunderstand me, the government can and should protect the citizens against terrorism. I’m just worried that in their zealous pursuit of this war on terror, liberty and the Constitution will fall by the wayside. What I want to know is when will victory over terrorism be achieved? Have we bound ourselves to a war without end? Equally importantly, when, if ever, will the government willingly give up these Patriot Act powers? After all, if we honestly believed that government could restrain and police itself, would the colonies ever have broken away from Great Britain? Would this great nation even exist? Furthermore, why would we need silly things like a Constitution? Were our forefathers mistaken? Or are we forgetting what it means to be free? Fellow conservatives, I’ll end with a quote from our great former President, Ronald Reagan. “Protecting the rights of even the least individual among us is basically the only excuse the government has for even existing.” So do these provisions of the Patriot Act protect our rights or do they take them away? For quite some time, a quote from Richard Obenshain has been sitting at the top of my blog, The Virginia Conservative. It reads, “The most important goal in my life is to have some significant impact in preserving personal freedom in the life of this country.” Although most citizens would appreciate such a statement, the name Richard D. Obenshain may not be all that familiar outside Virginia. So, to give you a bit of background, he was quite active in state politics in the mid 60’s to late 70’s as he served as the chairman of the Republican Party of Virginia and, after beating John Warner for the Republican nomination, was well on his way to becoming a U.S. Senator. Unfortunately, so many of us never got the chance to meet Mr. Obenshain; he died in a plane crash in 1978, several years before I was even born. But, his legacy lives on, in part, through his children. Even the most casual observer of Virginia politics will likely recognize the name of his son, my State Senator Mark Obenshain. Kate Obenshain, his daughter, also served as a chairman of the RPV and currently works at the Young American Foundation. In addition, the RPV building in Richmond is named in his honor. As you might guess, I really like Mr. Obenshain’s quote. It returns a bit of honor and dignity to politics. If one adopts such a philosophy, influencing policy and seeking office isn’t treated as a means to acquire power, wealth, or fame, but rather the main focus becomes the promotion of our shared principles. It is not about the greatest gain for a single individual or cabal, but instead advancing the cause of liberty to each and every citizen of our great state (or nation). However, Richard Obenshain’s quote as listed on my website and also Wikipedia is incorrect. According to Senator Mark Obenshain, it should actually read, “The most important goal in my life is to have some significant impact in preserving and expanding the realm of personal freedom in the life of this country.” I’ve taken the liberty of adding this quote to Wikipedia. The change is more than just cosmetic. Not only did Mr. Obenshain wish to maintain the dwindling list of freedoms that we already enjoy, but also enlarge that number. Of course, one can only speculate on what freedoms he would like to expand. In our present world, I would like to free travelers from the unreasonable TSA searches at the airport, remove the federal government from the sphere of education, allow states to determine the proper age for alcohol consumption, and forbid warrant-less wiretaps of citizens. Apparently, then-President Ronald Reagan was so impressed by this quote, that he kept a paperweight inscribed with the motto on his desk in the Oval Office. In what is likely the greatest tragedy, most, if not all, of his successors have not respected these words. Even though it is impossible to gauge what kind of impact Richard Obenshain would have had in Congress, from this quote alone I dare say that he would have been a far stronger advocate for liberty than our current Senators, Jim Webb and Mark Warner. Let me ask you a question. For those of us involved in politics, what is the most important goal in your life? Is it as noble as preserving and expanding freedom for your fellow Americans like Richard Obenshain? Or do you consider such principles to be secondary or of no value? Are you (or they) in the field simply for the money, a fancy title, or to meet the famous and powerful? If our politicians and politicos truly supported the notion of personal freedom, would we have either Obamacare or the Patriot Act? Although we often disagree on the specifics, all kinds of government need leaders who heed the words of Richard Obenshain. After all, without liberty, we become enslaved to the whims of the government. Our citizens and politicians would do well to remember that the greatest freedom is achieved when the largest amount of responsibility is left, not in Washington, in Richmond, or the city council chambers, but with the individual. Today, members of the House of Representatives got a chance to vote on whether or not to extend some of the most onerous provisions of the Patriot Act. Yesterday, I called my Representative, Bob Goodlatte (VA-6), to ask how he was planning to vote on this issue. His Washington office did not have an answer at that time and so I encouraged him to vote no. As Benjamin Franklin once said (and I have quoted several times), “they who can give up essential liberty to obtain a little temporary safety, deserve neither liberty nor safety” –Memoirs of the life and writings of Benjamin Franklin. This so-called “Patriot Act” is the modern manifestation of this struggle. In our great desire for security, would we give up our freedoms and the rule of law, that which separates us from the despotic nations and peoples who attacked us on September 11th? Unfortunately, we failed that great test back in 2001 when the Patriot Act originally passed and then again in 2005/2006 when many of the provisions were extended the first time. As the dust settled today, the final vote in the House was 277 in favor, 148 opposed, and 9 nonvoting. Given that the bill required a 2/3rds majority to pass, it has been defeated…at least for now. I was disappointed to see that a vast majority of Republicans, including Bob Goodlatte, voted in favor of this bill. In fact, only two of Virginia’s eleven Representatives voted against the bill: Bobby Scott (VA-3) and Jim Moran (VA-8). I’m starting to wonder if the Tea Party’s call for limited and constitutional government has fallen on deaf ears. Will most of the newly elected Representatives and Senators support big government business as usual? Prior to the vote, several members spoke out in opposition to renewal. I submit to you the words of Republican Rep. Ron Paul (TX-14) and Democratic Rep. Dennis Kucinich (OH-10). Update: Senator Rand Paul (KY) now shares his opinion this topic. Lastly, I’d like to share one more video. Several years ago, Judge Napolitano offered his thoughts on the Patriot Act. In short, his opinion is that it was passed in Congress in too great of haste and erodes our Constitution and our liberty. Watch and see if you agree. Remember the Acorn sting operation from a few years ago? Well it seems like the fine folks at Planned Parenthood have no qualms about knowingly aiding illegal activity too. Will this video be the critical piece of evidence to finally defund Planned Parenthood? Watch and decide for yourself. Thanks to Mr. Armstrong for bringing this video to my attention and to Live Action for the video itself.